04 Apr 2018 --- Robertet has announced that all the active ingredients used in its Health & Beauty Division, which are already plant-based and clinically-proven, will now be available in organic versions (SOD, Keranat, Lipowheat, Lemon balm extract). 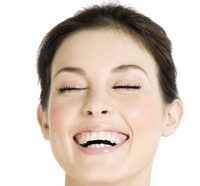 “Natural products are a key part of Robertet's genetic make-up. The firm has been recognized for its knowledge and expertise in natural products for over 200 years. It is no coincidence that we have now made the choice of offering our customers an organic version of our Nutraceuticals range, as we have already done with our essential oils,” says Thomas Ughetto, Robertet Health and Beauty Director of Sales & Marketing. In addition, the company presented its Holimel, a daily skin protection against UV. Exposure to UV is responsible for 80 percent of the visible changes that are commonly attributed to skin-aging, including pigmentation disorders, wrinkles and texture problems. The latest addition to Robertet's range is Holimel, a concentrate of melon juice rich in natural, protective SOD B, a powerful antioxidant. According to Robertet, Holimel boosts the skin’s natural defenses, preventing oxidative stress and inflammation caused by both environmental threats and natural aging processes. 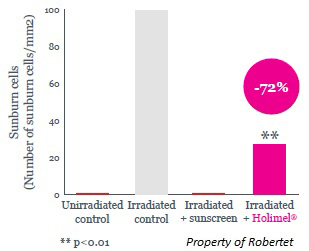 Holimel is patented and touted as rapidly increasing skin resistance to UV radiation (+27 percent after one month). Moreover, the ingredient is suitable for low dosages forms (20mg/day) and easy to formulate. Suitable for ingestible and topical applications, the ingredients "demonstrates its capacity to boost the body’s own defense against UV radiation, increasing its antioxidant enzymes by up to 63 percent and prevents the harmful effects of UV radiation on skin cells by decreasing sunburned cells by 72 percent," Robertet notes. Also within its portfolio is Keranat, an anti-hair loss and hair beauty ingredient. Strengthens the collagen in the hair shaft for better hair anchorage, 20 percent thicker roots. Boosts cell proliferation in the hair bulb by 140 percent to help hair growth. Keranat is touted as significantly decreasing hair loss by 50 percent after 12 weeks (noticed by 91 percent of women) and beautifying the hair by improving hair volume, density and brightness (noticed by 75 percent of women). Suitable applications include soft gel capsules, beauty drinks and cosmetics.